This is a road ending with a wide parking spot; Unimproved launch; a short steep and rough launch for a boat, but fine for a Kayak; There are homes around the launch site; Provides access to False Presque Isle, Bell River and Rockport. Paddle North around False Presque Isle to view the Stoneport Quarry Operation; Albany Points; Wreck Point; and Presque Isle Harbor. Many bays and points along with shallow shipwrecks make for interesting exploring. 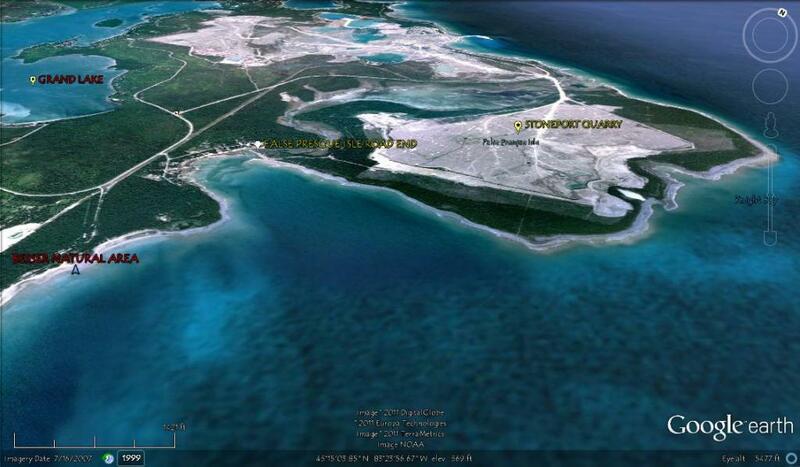 Interesting contrast between natural undeveloped shorelines and the Quarry Operation.